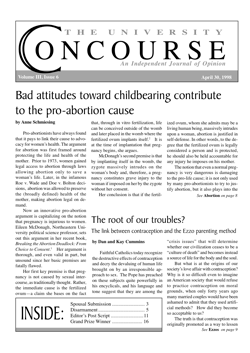 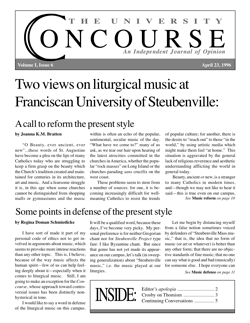 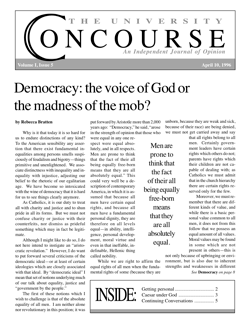 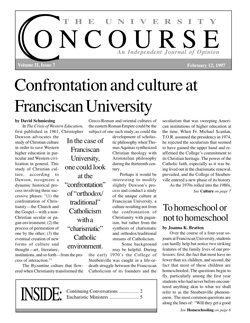 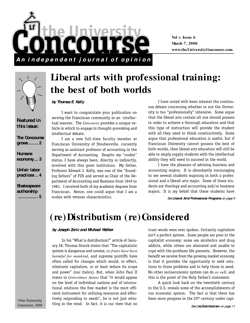 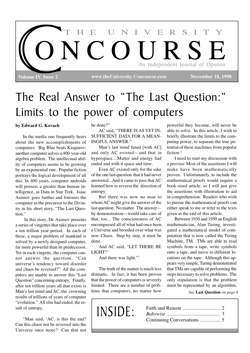 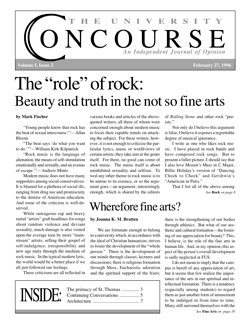 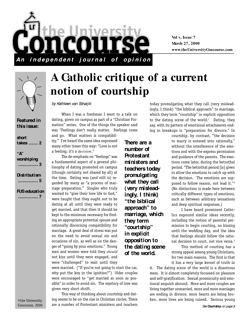 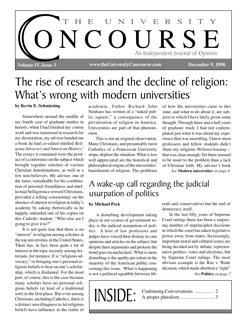 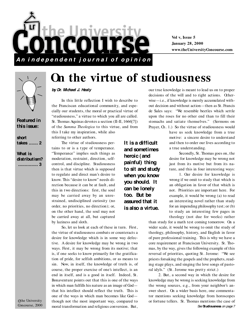 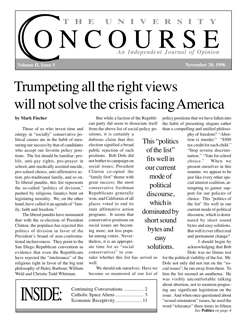 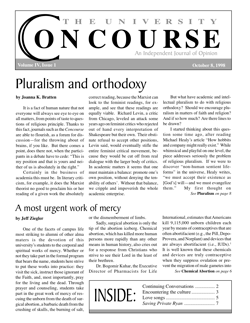 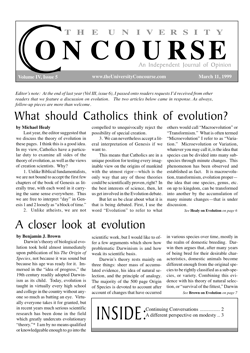 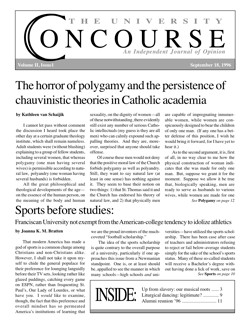 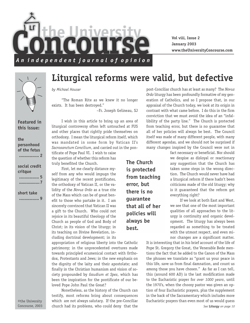 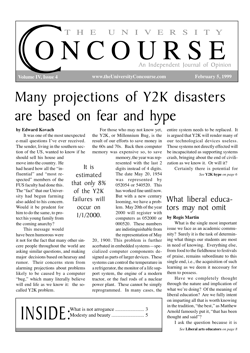 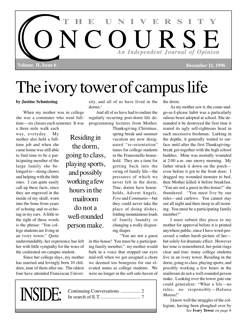 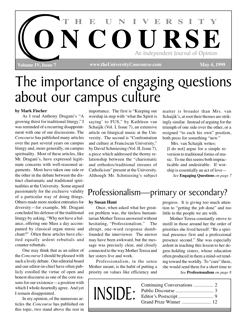 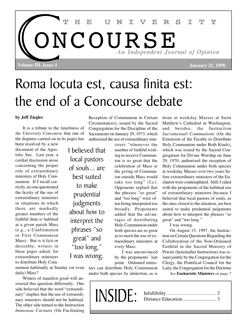 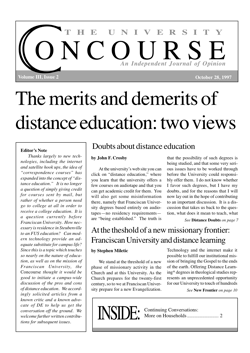 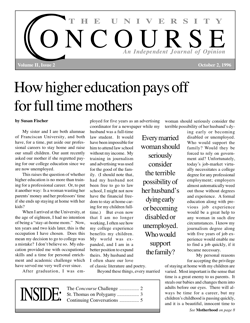 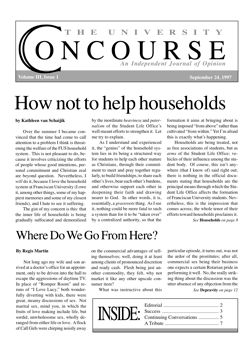 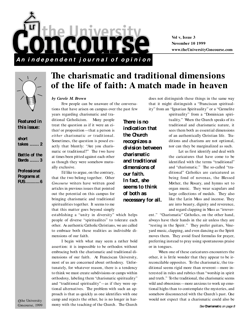 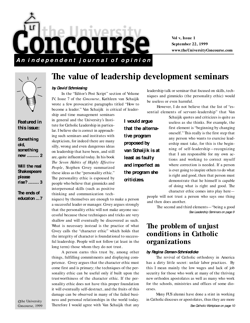 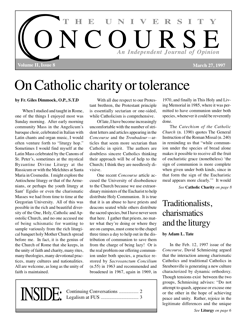 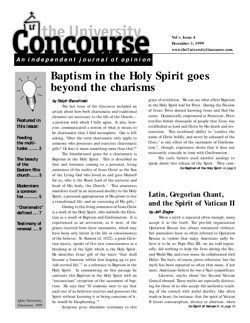 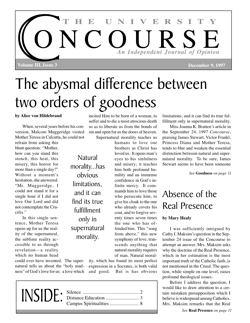 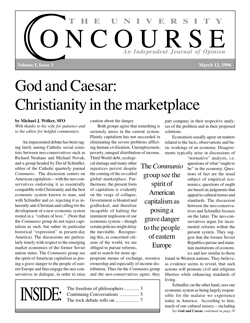 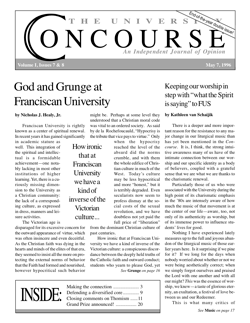 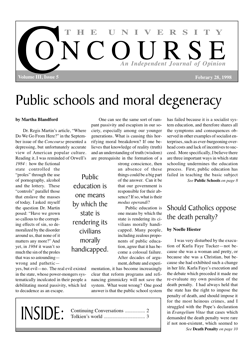 The University Concourse was published between 1996 and 2002 for and by members of Franciscan University of Steubenville's community of students, faculty, staff, alumni and friends. 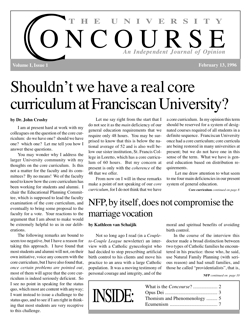 All articles are still available right here. 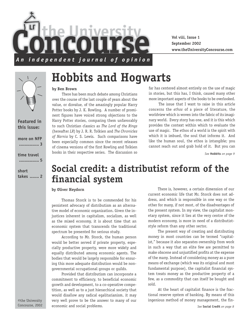 Your can search for them by author or title, or browse through past issues and topics. 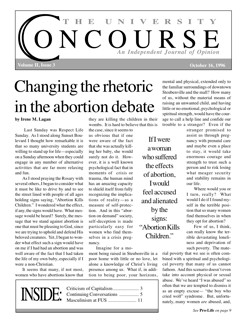 Comments or questions? 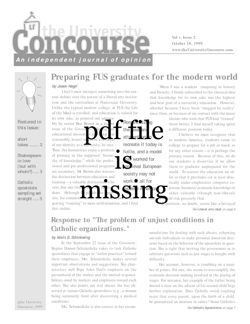 You can contact us through the Personalist Project. 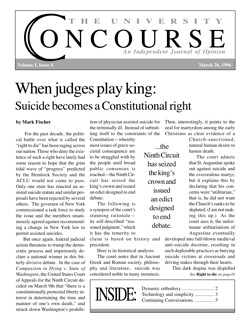 Copyright © The University Concourse, 2011.